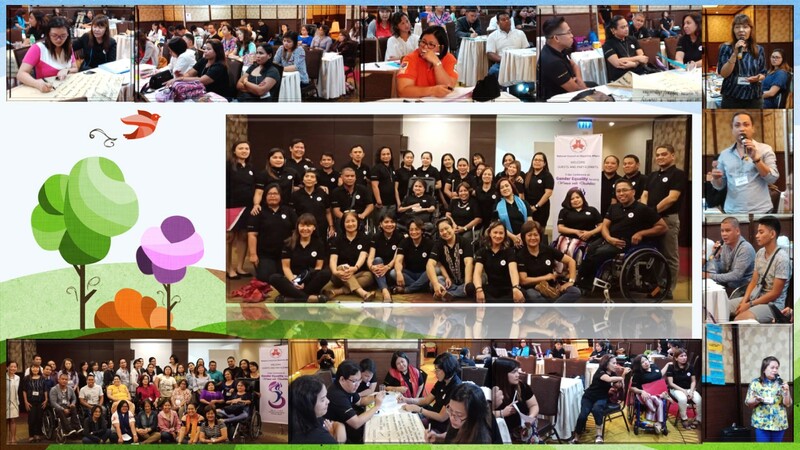 The NCDA conducted a “3-day Conference on Gender Equality Focusing Women with Disabilities” on 15-17 May 2018 at the Ramada Manila Hotel, Binondo, Manila. The conference was attended by forty-seven (47) attendees composed of PDAO/Leaders of Persons/Women with Disabilities per region, representatives per sector, GAD Focal Persons of selected Provinces, and NCDA Officers and Staff. The conference aimed to generate a needs-based assessment report for the development of a manual towards standardizing training for empowering women with disabilities and to capacitate implementers and stakeholders in developing programs and services for women with disabilities that promotes their rights to equal access to opportunities in education, economic empowerment, reproductive health and disaster protection.